What is a Phoenix Bail Bond? What is a Phoenix Bail Bond Company? What are the advantages of using a Bail Bond Company in Phoenix? 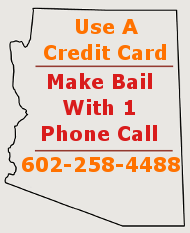 How do I buy a Bail Bond in Phoenix? What happens if the Defendant doesn’t go to Court? Can I have the Defendant re-arrested? A bail Bond in Phoenix, or any other part of the country, is simply a financial guarantee (promise) made to the Court, guaranteeing the appearance of the defendant to each and every one of his hearings. If the defendant fails to appear, the cash value of the bond would be paid to the Court. Bonds can always be paid in cash; however, bail bond companies in Phoenix post Surety bonds. Surety bonds are paper promises, they are like I.O.U.s. If a defendant fails to appear for his/her hearing the Court may order the bond forfeited. If the bond was posted in cash, the cash will be retained, if the bond was posted by paper, the Court will make a demand to the Surety to pay the bond’s value in cash. This is why we make sure to conduct due diligence into each case prior to issuing our bail bonds. What is a Bail Bond Company? A bail bond company in Phoenix acts as agent for an insurance company, also known as a Surety. Surety companies are licensed and regulated in each state where they operate. 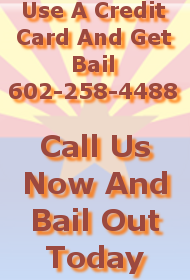 The Arizona bail bond company is also licensed to operate in the state, but operates as agent for the Surety. Both agent and Surety are bound by strict regulations governed by the Arizona Department of Insurance. Bail Bond companies must operate under specific guidelines on the rates they must charge and regulations governing contracts. What are the advantages of using a Phoenix Bail Bond Company? A bail bond company takes the bite out of a bond. Let’s say for example that you want to get a friend out of jail on a five thousand dollar bond ($5,000). As an individual you would need to pay the Court the whole $5,000 dollars in cash to get your friend out of jail. The Court would hold on to that money for an undetermined amount of time; it could be months and in some cases years. The Court will not pay you interest on your money and you cannot retract or surrender your bond. A bail bond company on the other hand would only charge you a 10 percent fee, $500, to post your bond. Although the fee is nonrefundable, you have not had to tie up $5,000 to get your friend out of jail. Collateral is physical property such as real estate, cars, boats, jewelry, artwork or anything that has value as determined by the parties involved. Collateral is usually required to secure bonds posted by bail bond companies. When a bail bond company posts a bond for you, the company has bound itself to the Court, guaranteeing to pay the bond amount in cash if the Defendant does not go to Court. This presents a huge liability to the bail bond company. In order to reduce or eliminate this liability and to place the liability back on you, collateral is held in trust or by lien. If the Defendant Fails to Appear to Court and the bond is ordered forfeited, the bail bond company will make a demand upon you to pay the entire bond amount. If you cannot or will not pay the bond amount, your collateral will be sold to cover the bond’s cost. If the collateral sells for more than the bond, the excess will be returned to you minus any sales costs. However, if the sale of the collateral does not cover the bond amount, you will be legally responsible for any shortfall. This is why you should NEVER post a bond on someone you do not feel will go to their hearings. The pitfalls of posting a bond on an irresponsible Defendant will far outweigh the consequences of just letting them stay in jail. How do I buy a Bail Bond? Call a bail bond company and provide them with the Defendant’s full name, date of birth, charges (if known) and any other pertinent information. Obtain a quote on what will be charged and find out what specific needs a bail bond company may have during the lifetime of your bond. If you plan to price shop, be aware that you can’t legally pay less than a 10% premium for a bail bond. The only negotiable items between bondsmen will be the fees/expenses charged and the collateral requirements. Be wary of bondsmen who accept little to no collateral. Low to no collateral puts the bondsman at high risk. A nervous bondsman is more likely to revoke his bond at the slightest provocation. Arrange to meet the bail bondsman, bring whatever paperwork may be required. At a minimum, you will need a picture ID (driver’s license, passport, etc. ), cash or credit card for the premium/fees and ownership papers for the collateral you plan to use as security (titles, deeds, sales receipts). Although sometimes it can’t be helped, leave the kids at home; you need to pay attention to what the bondsman tells you and you need to read the contract without being distracted. You get your collateral back once the bond has been exonerated (released) by the Court. Once a bond has been exonerated, the bondsman no longer requires the security of collateral. In all cases, the bail bond company will need official notification that the Court has ordered the bond exonerated before releasing collateral. Exoneration of bond usually occurs upon sentencing, however, the Court may exonerate the bond anytime it no longer feels it necessary to hold bond. You may ask the Court to exonerate the bond at any time, be prepared to discuss why it should be released. What happens if Defendant doesn’t go to Court? When a defendant fails to attend his hearing, the Court will typically order a Bench Warrant for the Defendant subjecting him to arrest for Failure to Appear. Within 10 days of issuing a warrant for arrest, the Court must notify the Surety. Within 120 days of issuing a Warrant, the Court must also hold an Order to Show Cause (OSC) hearing to determine if there is good cause for the Defendant’s Failure to Appear (FTA). If the Court does not find good cause for the FTA, the Court may order the bond forfeited. Typically in Arizona, the Court will issue a warrant and hold an Order to Show Cause hearing within 45 days of a Failure to Appear. Remedies for preventing bond forfeiture after an FTA include finding and re-incarcerating the Defendant, or presenting a valid reason for why the Defendant did not show. Neither of the above reasons guarantees exoneration of bond. If the bond is ordered forfeited, the Arizona bondsman will be required to pay for the forfeiture. Expect to either reimburse the bondsman for his loss or to have your collateral sold. In some cases you may be able to arrange a payment plan, all of which is up to the bondsman. NEVER post a bond on someone you doubt may go to Court. A bail bondsman has broad authority over the Defendant. When bail is posted, the Defendant is released into the bondsman’s custody. A bail bondsman has the power to re-arrest and incarcerate a Defendant at his/her own discretion. If the Indemnitor-Cosigner requests that the bond be revoked and has good reason for terminating the bond, the bail bondsman may revoke the bond. If a bondsman revokes the bond, there will likely be a recovery and bond surrender fee; frequently these charges can be equal to, or larger than, the premium that was originally charged for the bond. However, it is better to lose a little money than to face a bond forfeiture. Bond forfeiture in Maricopa County Arizona can be an expensive proposition and at the very least will cost the full amount of the bail. The rule of thumb is NEVER post a bond on anyone you are not 100% sure will abide by his/her Conditions of Release and will attend all of their Court hearings.